At AlwaysFreshfish.com we purchase our Chilean Sea Bass, also known as Patagonian Toothfish through our worldly resources. Chilean Sea Bass, being a cold-water fish, can be caught throughout most of the Antarctic and Southern Hemisphere. Almost all of the Sea Bass is caught and frozen at sea on factory vessels (making for a very high quality fish). The fish is then shipped to commercial warehouses and redistributed to local seafood processors. At AlwaysFreshFish.com we purchase the highest quality fish then fillet it in our own facility upon order. 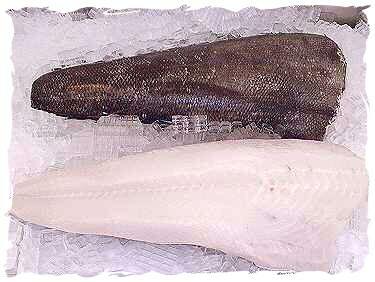 The meat of a Chilean Sea Bass is a pearly snow white which remains white upon cooking. Chilean Sea Bass has a very large flake and is very moist and tender. This fish has gained popularity throughout the cooking community and is one of the most sought after fish. Always Fresh Fish.com is aware of the current danger of over harvesting and poaching (pirating) of Chilean Sea Bass (Patagonian Toothfish). We are very concerned about this problem and would like to give our assurances that our Chilean Sea Bass is 100% certified non-poached. Documentation that is currently a part of our purchasing procedure of Chilean Sea Bass, tracks the fish through it's entire shipment route. This documentation verifies that our Chilean Sea Bass has been caught in legal waters. They are of legal weight and size and they were caught by legally designated fishermen that have paid for a permit to catch Chilean Sea Bass by their government. Our certification documentation tracks the Chilean Sea Bass from the boat to us during their entire shipment route. We do not and will NEVER purchase Chilean Sea Bass that has not been certified. Responsible purchasing is the way to ensure that Chilean Sea Bass will be available to be enjoyed in perpetuity. 1 lb. Chilean Sea Bass + 4 lbs. Add. Selections = 5 lb. Total Order OK! Rinse Sea Bass fillets under cold water and let drain. Cut Fillets in 4-6 oz. portions. Completely cover fillets with honey teriyaki. until fillets flake easily with a fork. Continue to baste while grilling. For additional information on Chilean Sea Bass, please e-mail AlwaysFreshFish.com.